If you are in good physical condition, stay that way. In other words, long before you embark, continue to exercise, eat right, and get plenty of rest. Your physical stamina and conditioning will enable you to cope better after you land. If you are not physically fit, why not begin shaping up several weeks before your trip? There's no better time. If your stay in the destination time zone will last more than just a few days, begin adjusting your body to the new time zone before you leave. For example, if you are traveling from the U.S. to Europe for a one-month vacation, set your daily routine back an hour or more three to four weeks before departure. Then, set it back another hour the following week and the week after that. Easing into the new schedule gradually in familiar surroundings will save your body the shock of adjusting all at once. Likewise, do not drink caffeinated beverages before, during, or just after the flight. Caffeine can also cause dehydration and disrupt sleeping schedules. What's more, caffeine can jangle your nerves and intensify any travel anxiety you may already be feeling. Drink plenty of water, especially during the flight, to counteract the effects of the dry atmosphere inside the plane. Consider taking your own water container aboard the airplane. While seated during your flight, exercise your legs from time to time. Move them up and down and back and forth. Bend your knees. Stand up and sit down. Every hour or two, get up and walk around. Do not take sleeping pills and do not nap for more than an hour at a time. These measures have a twofold purpose. First, they reduce your risk of developing a blood clot in the legs. Research shows that long periods of sitting can slow blood movement in and to the legs, thereby increasing the risk of a clot. The seat is partly to blame. It presses against the veins in the leg, restricting blood flow. Inactivity also plays a role. It decelerates the movement of blood through veins. If a clot forms, it sometimes breaks loose and travels to the lungs, lodges in an artery, and inhibits blood flow. The victim may experience pain and breathing problems and cough up blood. If the clot is large, the victim could die. Second, remaining active--even in a small way--revitalizes and refreshes your body, wards off stiffness, and promotes mental and physical acuity. On a long trip, how you feel is more important than how you look. So treat your body to comfortable clothes and shoes. Avoid items of apparel that pinch, restrict, or chafe. When selecting your trip ensemble, keep in mind the climate in your destination time zone. Dress for your destination. Upon arrival, if you are staying at a hotel, check to see that beds and bathroom facilities are satisfactory and that cooling and heating systems are in good working order. If the room is unsuitable, ask for another. It's no fun to go to bed on a hot August night only to discover that the air-conditioning doesn't work! The sooner you adapt to the local schedule, the quicker your body will adjust. Therefore, if you arrive at noon local time (but 6 a.m. your time), eat lunch, not breakfast. During the day, expose your body to sunlight by taking walks or sitting in outdoor cafes. The sunlight will cue your hypothalamus to reduce the production of sleep-inducing melatonin during the day, thereby initiating the process of resetting your internal clock. 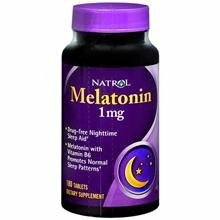 Try to establish sleeping patterns without resorting to pills. However, if you have difficulty sleeping on the first two or three nights, it's okay to take a mild sedative if your physician has prescribed one. But wean yourself off the sedative as soon as possible. Otherwise, it could become habit-forming.